THEY WENT TO LIVE AND HOW MUCH THEY SOLD FOR? 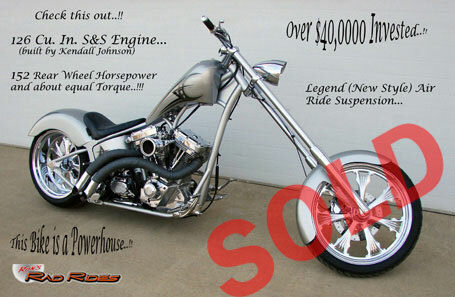 Klock Werks Kustom...Legend Air Ride, (New Style)... 126" S&S built by Kendall Johnson...152+ RWHP..!! See more here. 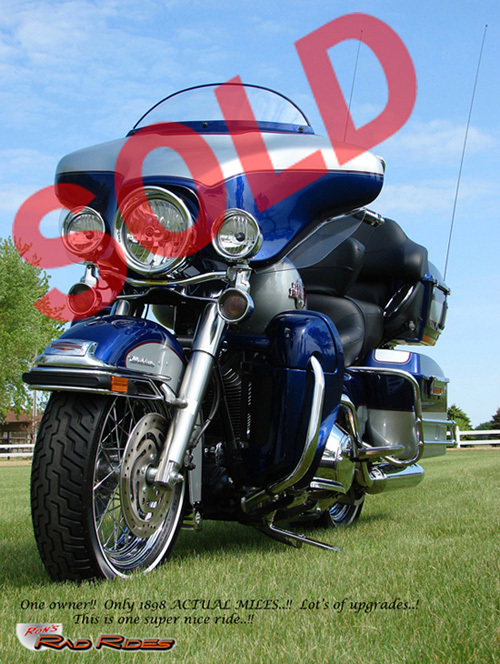 Already Sold to: Brookfield, Wisconsin! Beautiful in pictures, and even better in real life..! Check it out here. 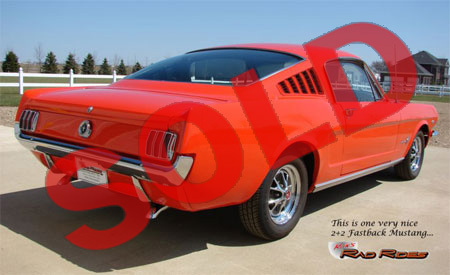 Already Sold to: Lincoln, Nebraska! One-Owner..! Only 9100 Miles..! King Tour Pak w/ Comfort Stitch Seating..!! See more here. 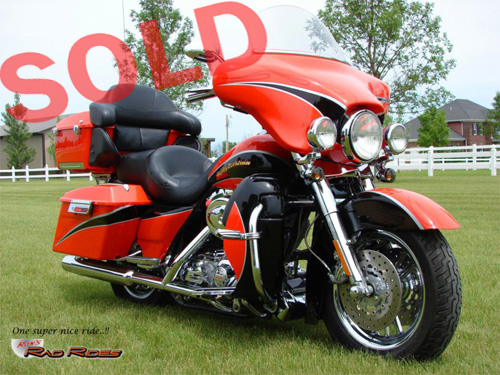 Already Sold to: Fort Madison, Iowa! Twisted Choppers Custom..., One Owner..., Very Cool!! See here. 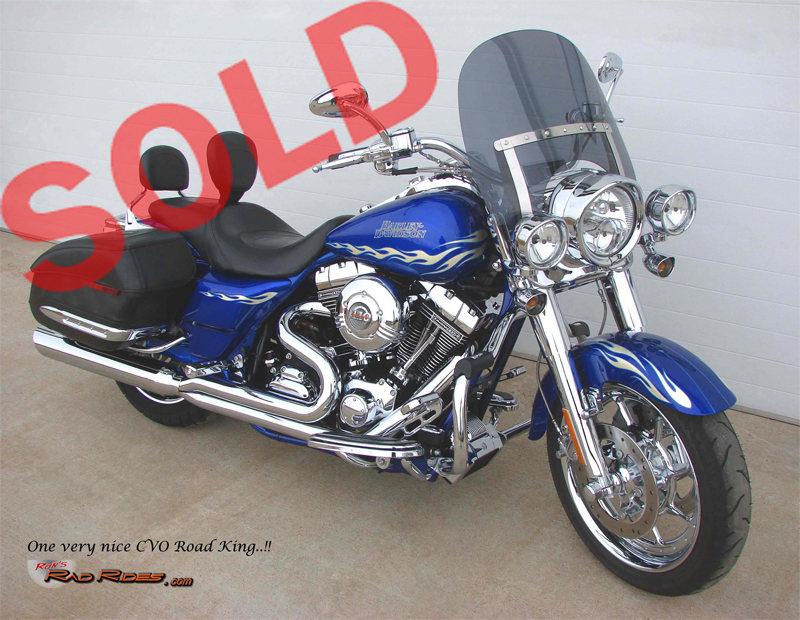 Already Sold to: Kingsville, Texas! Original Color, Engine, Trans, 2 Owner... Real Looker!! Find out more here. 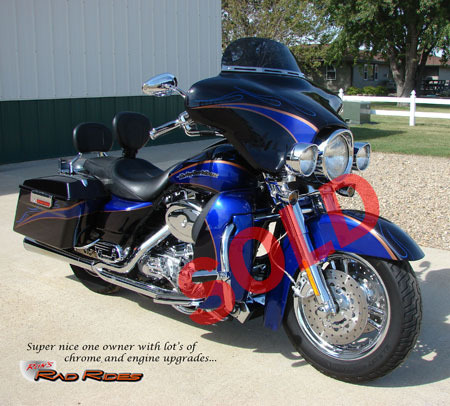 Already Sold to: Freeman, South Dakota! Only 1898 ACTUAL MILES..!! 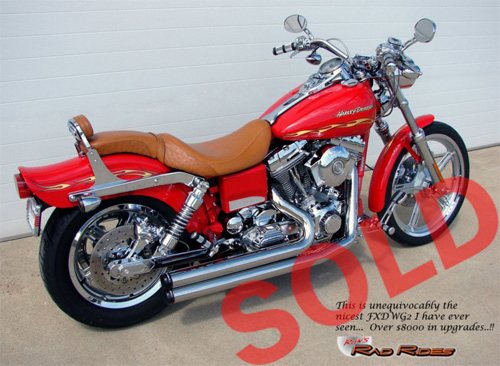 One-owner.., Immaculate Condition.., Super Color Combo..! See more here. Already Sold to: Hazard, Nebraska! Over $8000 in Upgrades..!! Pristine Condition..! !, Low Miles..!! Check it out here. Already Sold to: Eugene, Oregon! 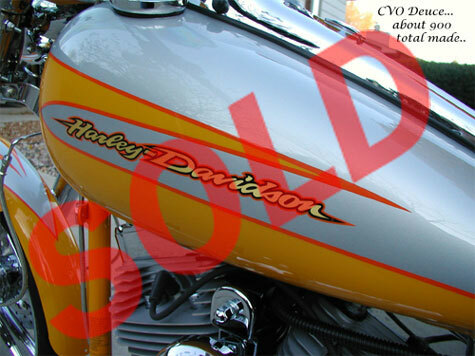 Super Color Combo, Ultra Low Miles "CVO" Deuce.. Find out more here. 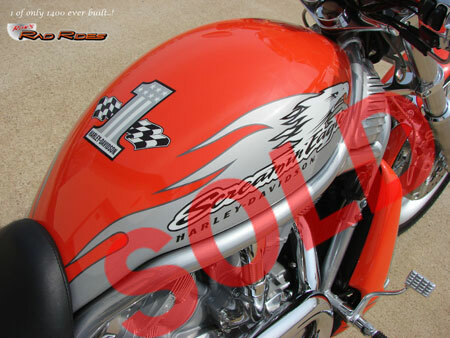 Already Sold to: Lake Havasu City, Arizona! Body Off Resto (Stock and Custom)... See all about it here. Already Sold to: Miami, Florida! 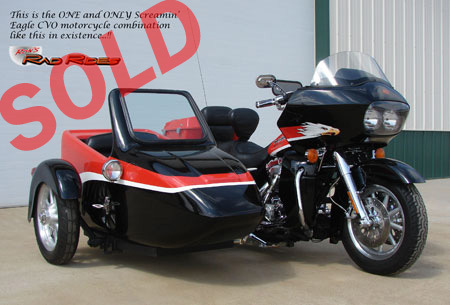 Super Color Combo.., Motorvation Sidecar with Electric Lean.., Very Cool..! Find out more here. 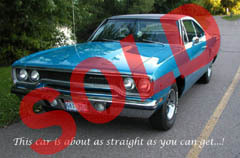 Already Sold to: Sherbrooke, Quebec, Canada! One-Owner.., D&D Fatcats.., EFI Race Tuner.., Other Upgrades..!! Check it out here. 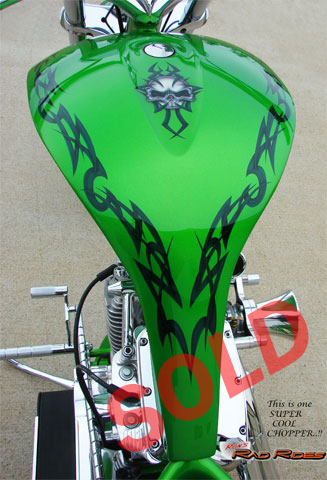 Already Sold to: Shinnston, West Virginia! Here is an exceptionally clean Mopar...and about as original as it gets, complete with Broadcast Sheet, look here. 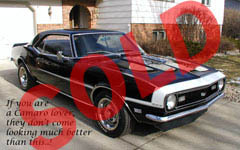 Already Sold to: Grover Beach, California! #581 of Only 1400 Built.., Additional Accessories.., Low Miles..! See here. Already Sold to: Russia (Europe)! One-Owner.., $6000 in Engine and Other Upgrades.., Super Nice!! Find out more here. 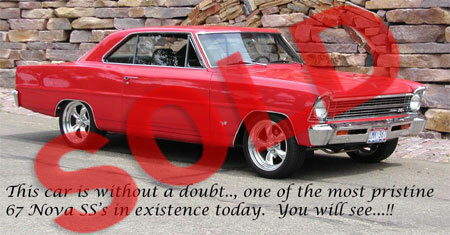 Already Sold to: Parkland, Florida! One Owner.., GPS.., Corbin Seat.., True Duals... and more... Check it out here. 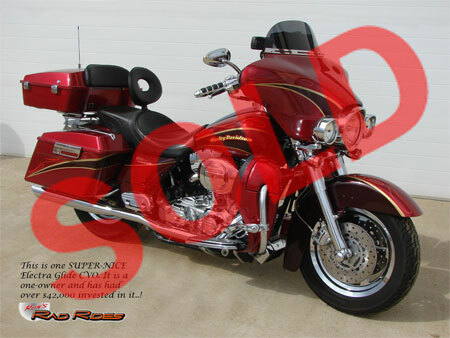 Already Sold to: Horicon, Wisconsin!